Last year I attended the first four days of Tour of America's Dairyland as a Cat 3. 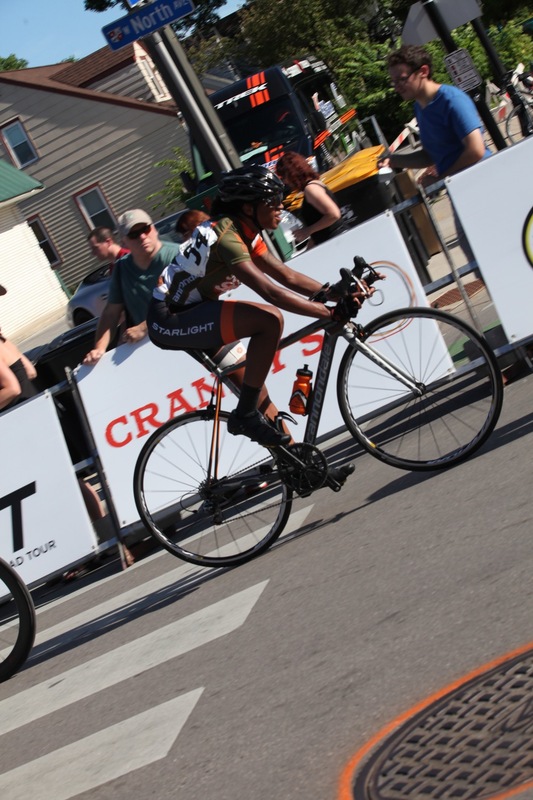 It was literally a crash course in midwestern crit racing. Full throttle, aggressive, and technical courses with competition to match. I felt like a shark that discovered the taste of blood, I NEEDED more. I was just trying to figure out what they were feeding these Cat 3 women? It was there that I realized that I had a LOT to learn about crit racing and bike racing. It was also there that I learned that I was going to have a ton of fun along the way. Despite a rocky start to my 2016 season, with pretty much no success in Athens, and minimal success in Tulsa, I went into ToAD this year with an open mind and a hungry heart. I threw myself into the final three days of the series which happened to also be Pro Road Tour races. Go big or go home. Always. I was coming off of a very lovely visit with family and friends in NYC so I was relaxed and happy. I felt ready. I was ready. I decided that I was going to focus on one race at at time and give it my best shot. I stuck to my diet, perfected my warm up routine, and made sure not to count myself out before I even made it to the line. After falling off of the back in Athens after a disappointing 13 minutes of chasing from the line, I made a point of lining up early and keeping my position for the start line as politely as possible. I could not intentionally put myself through that ever again. This made a WORLD of difference. I started 3 races and I finished 3 races. With each passing day my result was better than the day before. This might not seem like a big deal, but this was HUGE. Those PRT races often feel like a game of "how long can I hang on to the group before I get dropped", so to compete in a race from start to finish felt extremely good. It was amazing to draft off of the wheels of top level pros like Laura Van Gilder, Tina Pic, Coryn Rivera, and the Schneider Sisters. It was even more amazing to watch them glide through the pack like it was nothing. I learned so much by being in the mix and watching the teams do their thing. It was such a confidence builder. I left Wisconsin feeling extremely capable. Woot! Thanks to Hatchmap, Cannondale, Starlight Apparel, and all of my followers and fans for the support! Love you forever! ***Reminder: Kit orders end tomorrow! Get yours! Wisconsin for the Weekend with the Ride Across Wisconsin, Black Girls do Bike, Red Bike and Green & Jens Voigt! Kit Order, Film Screening, and the San Rafael Crit!